In this episode of Confetti Park, we hear a music memory from Jeff Campbell, founder of Hungry for Music, a nonprofit organization distributes musical instruments to children in need. 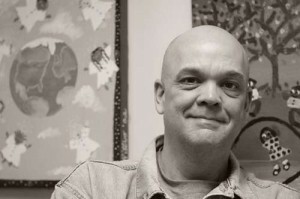 Jeff, originally from Shreveport, established Hungry for Music in 1994 in Washington D.C. Since then, the nonprofit has donated over 8,000 instruments to children in 27 states and 14 countries. Jeff was ten years old in 1972 when he attended his first concert—the Jackson 5. And while the music was powerful, the experience was made more so by a connection he forged with a woman in the audience. Learn more about Hungry for Music and the good work Jeff has been doing for the past two decades. You can listen to a more in depth interview with Confetti Park, as well. Thank you, Jeff, for sharing your memory with Confetti Park!